I'm still on vacation in Florida, but here's my wardrobe update for the month! I went a little crazy this month with 5 new items. One was my DKNY sweater from Net-a-Porter's End of Season sale (see it in a post here). Then I got a gorgeous suede jacket from TJ Maxx. 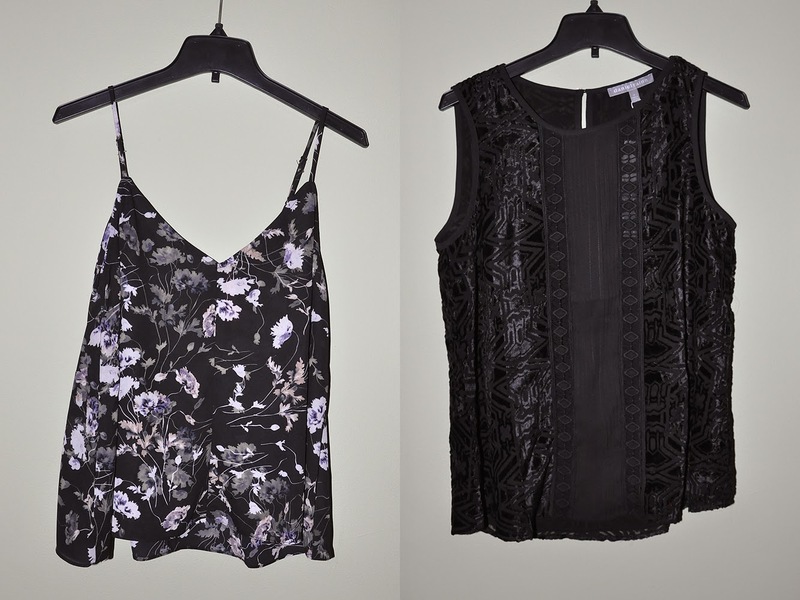 Finally, Piperlime had 60% off all their sale items so I took the opportunity to buy a few tank tops. Only worn one so far. I love your blue jacket, and the floral tank is so pretty! 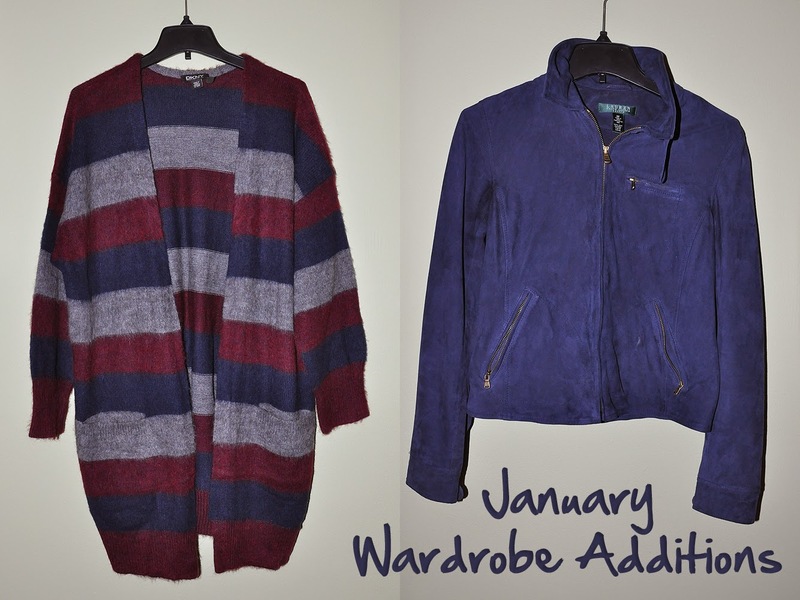 So many great pieces, but I love the blue jacket the most! Oh yes, that cardigan looks great on you! Love the colors. I love that Daniel Rainn top!